A few of the hardworking Peter Ward Homes Sales Representatives. At Peter Ward Homes, we are dedicated to giving you the best guidance and support as possible when it comes to finding and purchasing a new home. Our Sales Representatives are available 7 days a week from 11am – 5pm to help deal with any enquiries you may have. Sarah Shepherd is one of our longest working Sales Representatives at Peter Ward Homes and we caught up with her to chat about what life is like working at Peter Ward Homes. How long have you worked for Peter Ward Homes? I’ve been here since 1998 so it will be 17 years this May. It doesn’t feel that long though. What made you want to be a Sales Representative? I’ve always worked in this industry. I like meeting people. I’ve only actually been a Sales Representative for Peter Ward Homes because I like the quality of his build. Its important when your selling a property, whether it’s a 2 or a 5 bed, that the quality of the build is good. Buyers get that with a Peter Ward home. What’s the best thing about working at Peter Ward Homes? Working for Peter Ward Homes. They are a very good company and very good to their staff. They build a product that you can be very proud to sell. It’s what we believe. I wouldn’t have worked for them for all this time if they weren’t. It varies really. We open up the show house, check our emails, contact people that have interest in the development and want to be updated. 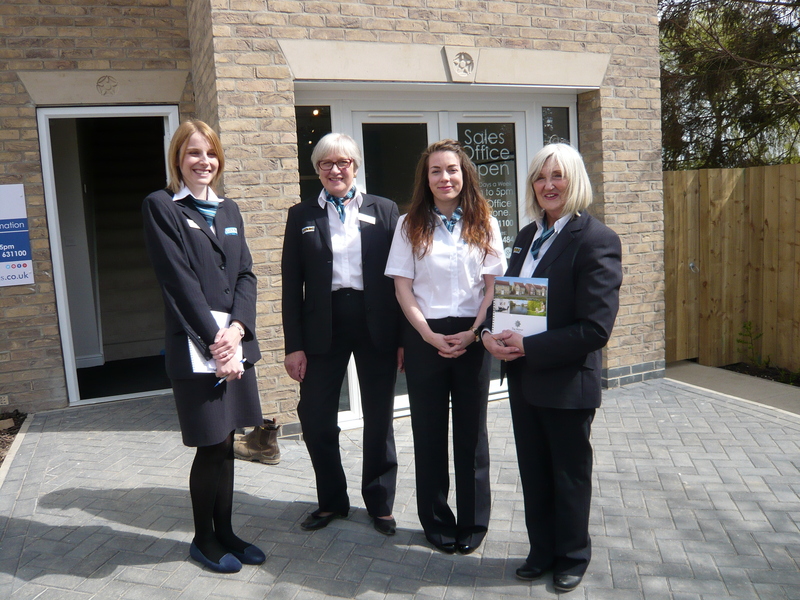 We also show people around the development and explain all about Peter Ward Homes and the properties we have. It’s all about the customer – satisfying their needs and finding the right property for them. How has the job changed over the years? It’s changed massively because the lenders are more stringent with the process and it’s understandably more difficult to get a mortgage now. But government-backed schemes such as Help to Buy have made a huge difference. What do people look for the most when buying a home? The quality and design of the build. If they didn’t like the quality they wouldn’t buy it. I spoke to a surveyor not long ago who said she had visited our Sandholme Park development, which started back in 2000. She said to me ‘that site still looks as good as it did 10 years ago’. So I think that just goes to show how good the quality of the houses are. And also more importantly they are great value for money. What advice would you give to a new Sales Rep? Always be polite and treat your customer the way you would like to be treated yourself.